This property is 3 minutes walk from the beach. 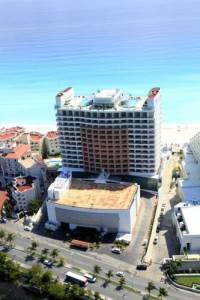 Located along the Caribbean Sea, this Cancun hotel is 2.2 miles from Aqua World Marina. 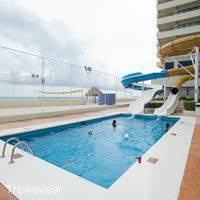 It features a water park with 8 water slides and The Spa offers hair and body treatments. 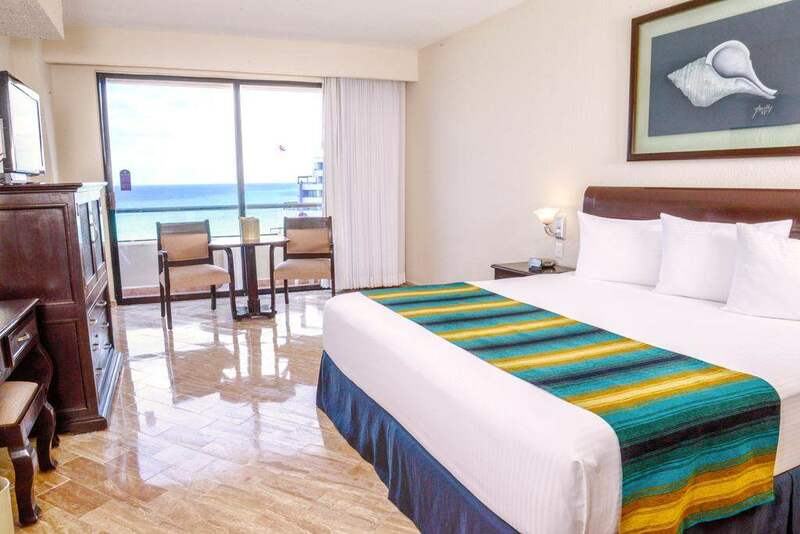 Every spacious room offers balcony with beautiful ocean views and air conditioning. 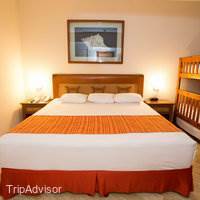 All rooms are brightly decorated and include a satellite TV, refrigerator and coffee maker. 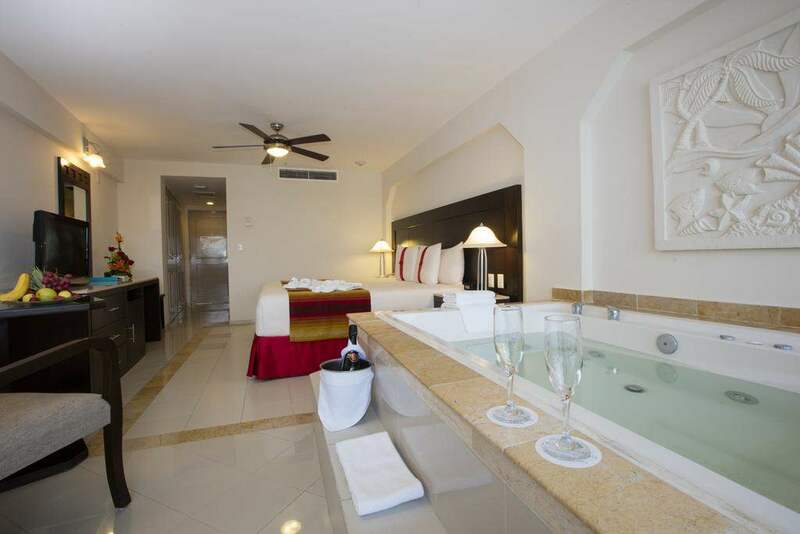 Guests can enjoy a poolside massage or relax in the hot tubs. 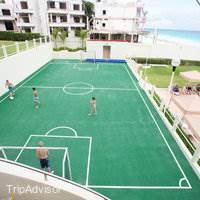 A gym and 2 tennis courts are available for active guests. 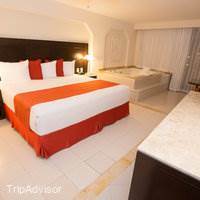 Crown Paradise Cancun offers free on-site activities, such as a mini-golf course and game room with billiards. A variety of cuisine is available at Club Cancun’s 7 restaurants, including Japanese specialties at Fujiyama and Italian dishes at La Piazza. 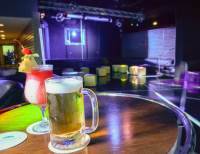 Beer and cocktails are served at 6 bars, such as Club Caribe Pool Bar and Beach Bar. We spent 7 days, my kids loved it people are very friendly ,smiling ,helful ,professional .i would like especially thanks to Victor from the kids club he was so good to the kids looking after them ... all te team was amazing .Also Juan from the restaurant he was taking great care of us during the breakfast time .The evening shows was fantastic .Just a little comment :we were having a room in a first floor not far from the elevators but the hotel offer only 3 elevators and to get to the stairs we had to walk a lot to get to the lobby . 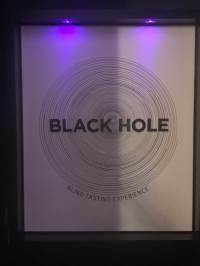 My husband and I stayed there from September 25th to October 5th, 2017. Upon arriving at the hotel, we had to wait 20 mins. before we were checked in at the reception. The room was basic but clean. The servers at the restaurants worked very hard and gave good service. The Collage (lobby bar) and the sports bars were incredibly noisy and the bartenders were not very friendly. They served the locals first, even if you were there before and spoke Spanish! The Trafalgar bar, was lovely and the server was wonderful. 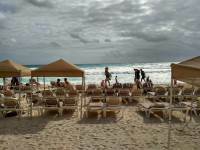 One the beach, the bartender and server, Araceli and Joshua were super efficient and friendly. The food was not bad. We particularly enjoyed having lunch at Los Gallos restaurant, we had great service from Nahum, who was able to anticipate our every need. The beach was beautiful, but unfortunately we were not able to swim the entire ten days as there were red flags everyday. Altogether, the hotel is nice but not a place we would go back to, as it is a family resort and it was extremely noisy all day, even in the evening, it was hard to sleep as you could hear people from the lobby, and we were on the 6th floor! We stayed there for the second time. We got there in a rainy week. Ideal hotel in that case since it is not that big, you can go from one place to other in walking distance not getting wet. A lot of activities for kids. 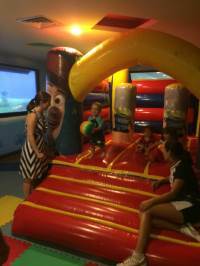 A great Baby club for kids below 3. The food is not that good but acceptable. 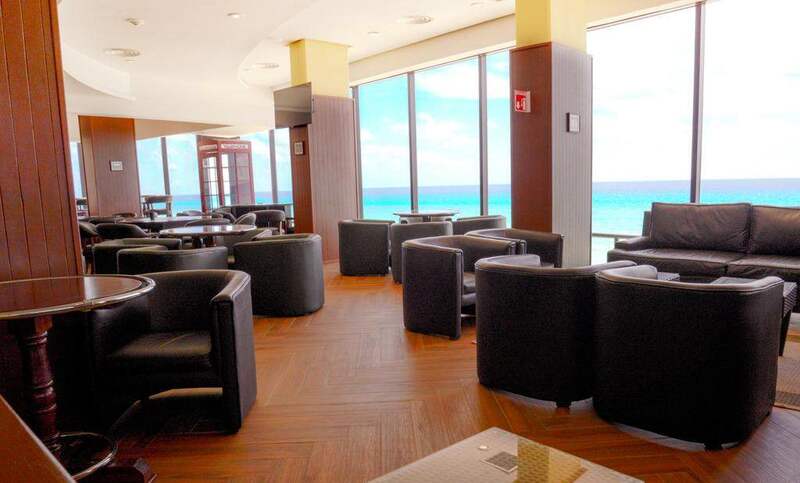 In the San's Soucis restaurant is a view of the ocean and crashing waves. The formal dining room and dress code (and no kids allowed) make this a wonderful spot to relax and enjoy good food. Our waiter Julio Cigarroa was fun and had quick humor and his service was the best part of our stay so far. Our glasses were always full, the coffee delicious, the wine just right and the meals presented with a bit of flare. Me and my boyfriend stayed here from the 20/09/17-04/10/17. 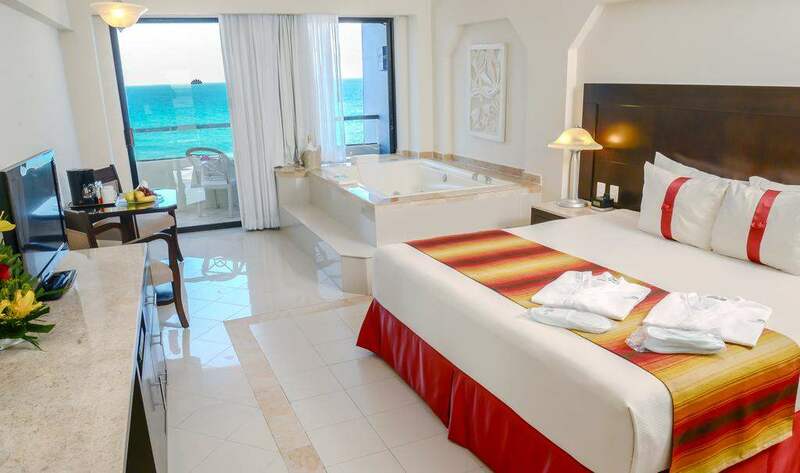 As a whole this hotel is brilliant, amazing location with each room offering stunning views of the ocean. 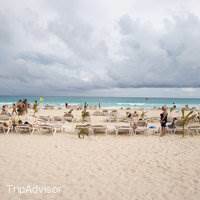 There are busses every 2 minutes which take you into the strip in Cancun in around 15 minutes where there are lots of eating places, bars and shops. We mostly spent our time in the adult only pool. We loved the sunbeds and the swim up bar offering a huge selection of cocktails. We also enjoyed the music here. There is larger family pool area which we found to be too busy and noisy so the adult pool was the perfect alternative. Our room was lovely, clean and spacious. We made full use of our mini fridge and it was re-stocked daily. The maid done a fantastic job of cleaning and changing our bedding everyday. The main buffet breakfast was my favourite meal of the day, it offers a huge selection of continental and cooked breakfast. It was a pity we had to queue, sometimes up to 20 minutes to be seated but I believe this problem was solved. 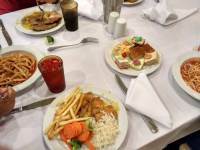 The main buffet lunch was okay, a satisfactory selection. The main buffet evening meal was not good. Food was not piping hot, not a good variety, not very tasty or fresh and I found the meat to be really fatty. We avoided this as much as we could by booking into the restaurants.To use the restaurants, there is a 3 day advanced booking system which we used to save disappointment. Without a booking, it was unlikely you were going to get a table, which is strange as when we visited the restaurants, they were always half empty?Staff were super friendly and always happy to help. Things were going well until our 5th night when the water was turned off to the entire hotel. Bell staff said someone was working on the problem, sounds serious for the whole property to lose water. Things got worse, after the water was repaired, came back to my room to find the toilet now was leaking. 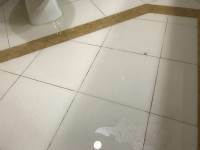 Called front desk, someone came to repair but the next morning, discovered the leak was not fixed, called again, repairman came did repair and left saying nothing to me, and the he did nothing about the flood water on the floor, called again, someone came and mopped, hour later floor is flooded again. Never did get the leak fixed, enough water that it covers the floor and started coming out in to the hall. Went to check out, despite a letter under the door indicating I should check out 30 minutes prior to departure, they now say I need to wait until I’m out of the room. At checkout they asked for my review, front desk clerk said nothing about the problems or the review I provided to him. Clearly nobody really cares about any problems. 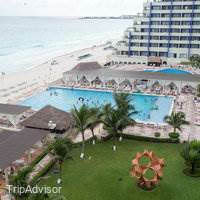 Having not been to Cancun for 25 years, the changes are amazing along the Hotel strip , and nowadays it looks more like scaled down version of Miami. The Crown Paradise Club Hotel is, I suspect, one of the older buildings and really that is the only thing that lets the whole experience down. 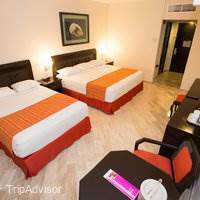 Everything is excellent from the service from the staff, their friendliness and willing to ensure one has a great time whether it be whilst dining or having a drink, the room service and maid service is excellent too. 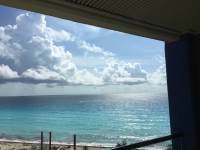 The rooms are spacious and I think all must have great views from their individual balconies. But there's the problem. Whilst the weather was fine , no problem, air-con was excellent and no problems with that, But after a few very heavy storms, we started getting drips coming through the ceiling onto the smaller of the two huge beds. 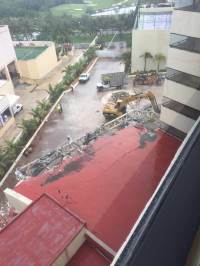 To be honest, it didn't affect us, but out on the hall/corridor, water was dripping from some light fittings and I think there is a fundamental problem PERHAPS with the sealing of the building when the tropical rains let loose. Thats my only negative comment.I take my hats off to the Management and the staff who work so hard . Management in keeping the whole show ticking over , and the individual waiters, bar staff, house maids, beach boys, and those behind the scenes ( cooks etc ) who make everything so good.We were on full board plan and sometimes ate in the booking only restaurants. All were ok, altho' sometime portions were a little small . As a "mature" couple, my wife and I enjoyed the French Sans Soucis Restaurant the best . It has great views out over the sea, excellent service and food and the house white wine I thought most palatable. My wife drank the red and commented the same. Jose, the waiter who served us most was extremely courteous and correct . Certainly the best place if you like a fillet steak !Others have knocked the buffet , and I have to admit that often the food was only warm as opposed to being red hot, but the huge selection of salads, hot courses and deserts more than made up for the less than scalding food.Waiter service was most attentive and we tended to sit in the same part of the buffet restaurant so got to know the waiters and waitresses quite well. 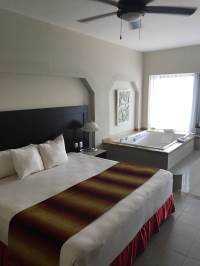 Look out for Enrique , Dav'id, Geronimo and the sweet Yaneli , they were an excellent team and were always eager to help in any way required.Elsewhere , our room was serviced daily by a sweet little lady called Nellie. Our room was always kept spotlessly clean by her , with clean towels provided along with well stocked mini bar , and a variety of little animals made from folded towels always there to greet and amuse us when we returned to our room in the late afternoon. 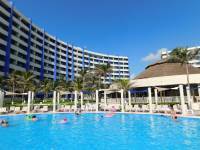 Great job Nellie, thank you very much!The hotel has a selection of swimming pools, but we chose to swim and relax on the beach. There seemed to be plenty of shaded units there and the sun will soon burn you if you are not acclimatised. My advice is take it easy in the sun for the first few days and use at least Factor 30, even sitting in the shade as I did all holiday, I ended up with a great tan as not only does the prevailing wind give you a glow, but reflections off the sand will also get to you, believe it or not. The sea is quite rough , deeply shelving beach only a few metres in , so worth being aware of any warnings given from the duty lifeguards.I suspect that anyone who chooses to go to the Crown Paradise will enjoy the experience. I've travelled to a vast number of places in the World as a Commercial Pilot and don't think I've seen a better run Hotel , its only failing is its slightly tired facade. However, I noticed workers beavering away in a number of areas , but it's a mighty big building to keep on top of from a decorative point of view.Sorry to have rambled on so long if you have got this far, hope you have a great holiday in Cancun wherever you end up staying. 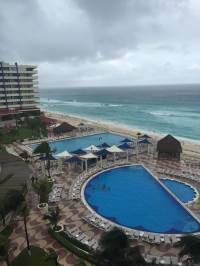 My two daughters and I stayed at Crown Paradise Club Cancun from 9/23/2017-9/30/2017. I had saved up for quite some time to make this trip happen for us. That being said, I always like to begin dialog with positives so I’ll start by saying the gentleman that helped me with my bags when we got there was awesome and informative. He also helped me get my room changed when the ocean view room that I walked into had to be viewed through what appeared to be a dilapidated hotel next door and two rather large metal posts. I ended up being very pleased with that outcome. 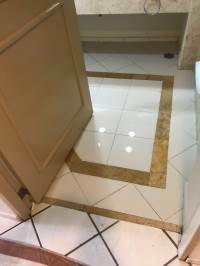 Veronica in housekeeping did a top notch job! Gabriel and Luis at the pool bar kept drinks flowing for me and made special virgin cocktails for my girls. Israel, on the wait staff was very thoughtful and attentive and from the time that we were seated with him, we asked to be seated in his section for the remainder of our stay. The gentleman who were facilitating the pottery painting were fantastic. The food was good. Not great, but good. That’s really as far as the good goes here. 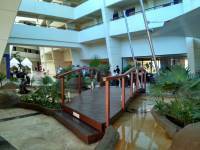 Upon arrival, I asked about the teen area as I had picked the resort because of the water slides. I was told by the person at the front desk that he did not work in that area so really couldn’t tell me much about it including where on the premises the water slides were actually located. I went on a hunt through the resort to find that the teen area was boarded off, waterslides un-operational and pools drained. Honestly, I understand that hotels go through construction but this was the main reason I chose it. What was worse was the front desk person was pretty shady about it. It was clear why he told me what he did or really what he didn’t. Also upon arrival, I was handed a little card with the restaurants on it and a number to call to make reservations. Then to my knowledge the only other option was tacos that were served by the pool nightly. The last day, I didn’t have reservations so I called to see what I could find. I was told that La Piazza was closed and no other restaurants had availability except for the French restaurant that requires you be 18 years of age or older. My daughters are 14 and 11. Seeing that for some reason they weren’t serving tacos by the pool that particular night, I went down to the front desk to find out where I could get some food. That was when I was handed a completely different card that indicated that La Piazza was indeed open and had been open every night for a dinner buffet. Furthermore, there were two other locations that I could have gotten breakfast and at least one different location that I could have gotten lunch daily. Very frustrating! The service by many members of the wait staff was almost nonexistent. There was Juan at the La Piazza restaurant breakfast buffet. He offered me water and when I was trying to determine the origin of the water, he kept telling me that I would have to order bottled water in my room. I said I understood that and then asked what the source of the water was in the restaurants where he answered me much the same then got frustrated and left the table not taking an order from anyone for anything. That was completely unacceptable. I get it if we’re not on the same page with communication but getting frustrated and walking away was a total different ball game. Then we had Angel who never showed up once to my table for a drink order or to ask if we needed anything throughout our entire dinner on our last night. I took it upon myself to go to the bar and get myself a drink where the bartender was extremely put out. Clearly, I wasn’t following protocol but nobody was waiting on my table. Was I supposed to just sit there and be ignored? Finally I spoke with a manager who couldn’t say much except do you want some tequila? We had already had our meal and were leaving. No thank you on the tequila. 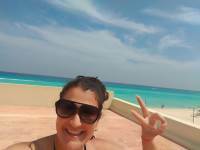 I had had enough of that entire resort experience and was thoroughly ready to leave. One final note; being asked where my husband was every single time I went for a meal by both male and female staff throughout the resort got old very quick. Please be aware Crown Paradise that single Mother’s do take their children on vacations. I would think that you would be a bit more socially updated. It really started to get offensive especially enduring the awkwardness of the reactions when I said I didn’t have a husband. Really? This also made my children uncomfortable. Maybe a better question would have been “Is this your entire party or are you expecting more people?” Just a little something for you to consider in the future.I absolutely would not recommend this resort based on my experience. 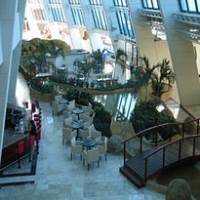 I did however hear that the Moon Palace was a great place to stay by several people in the airport on our way home. 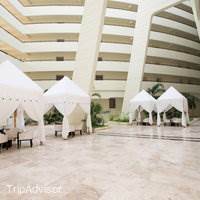 We stayed here with our kids to give them their first all-inclusive experience, which was fun. While this obviously isn't the fanciest of resorts, the hotel and the food were all really good! I'd heard mixed reviews about the food, but the buffet has tons of options, and we also loved our dinner at the seafood restaurant. The staff and service were very nice. Both we and our kids really enjoyed our time here. The beach was beautiful and we got to swim a couple times. We also spent a fair amount of time at the pools and they were great too. No complaints! 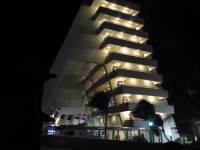 I went to the Crown Paradise Club for a birthday celebration with family consisting of six people in two rooms. 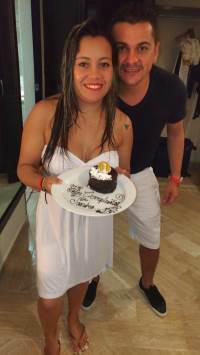 A cake was ordered six months prior along with the reservation and confirmed at check in. The cake never showed up and I spent 1 hour per morning for three consecutive days trying to get a refund. I never got the reason or an apology, but supposedly got my refund at the checkout.The big water slides and zip lines were closed for repair. 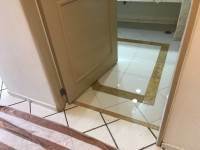 Every time it rains the hallways have standing water and everywhere is a slipping hazard. The miniature golf course has not been maintained with standing water throughout and multiple exposed wires with charred black smoke in some locations. Some of the elevators do not work, the ones that do are super slow and smell like vomit. The guests let their kids pee in the bushes (multiple sightings) by various family members. The largest restaurant was closed. There were not any good food options. Every morning at 8 AM you spend an hour on the phone to get a reservation to one of the restaurants where you can actually order off a menu. Every decent option is booked. When you can get a table (2 days later) the restaurant is half empty. They do not enforce the dress code. Half the restaurant in swim trunks, tank tops, flip flops and even barefoot. 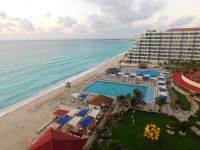 I was extremely disappointed and even embarrassed as I picked the resort and made the reservation for my family. The price was cheap, but not low enough for the experience we had. The hotel was very nice. There are specialty restaurants please be advised that men must wear long pants and a collared shirt for the French restaurant. This is one of the nicest restaurants at the resort and it is worth bringing a pair of long pants. A golf shirt is concerned a collared shirt so you can be comfortable. The service was good and the staff was friendly. There is one swim up bar that is attached to the adult only pool. No kids in this area. The price for the vacation was very reasonable and well worth the cost. We decided to upgrade our package that allowed us access to a private lounge. We enjoyed having the private lounge but, don't think it was worth the extra cost. This was our second time at crown paradise club and we had a great time. The staff there is the best and just wants you to have a good time! They are all so friendly and welcoming. The hotel has everything so you don't even have to leave the resort if you don't want to. I would recommend this place to anyone , they have a place for kids, families, and adults! It has everything! Good location. The food however!!! I have to say that I'm so disappointed in the food quality at this hotel. Never have I experienced nor tasted such rancidness. I was so looking forward to coming to this hotel after reading the reviews. The pop up buffet restaurant is not fit for purpose. Went in for dinner most nights and everything in the hot area looks terrible. I'll eat and try most things that look edible. One choice was the pasta bolognese. On seeing the chef place a fresh tray. I plated up, went straight back to my seat to get stuck in and it was freezing cold, this is a recurring theme throughout all the restaurants. It’s impossible to get a hot meal. Needless to say we had to eat out several times. The 4 A la carte restaurants that we were able to visit (no french as we had a child) felt very rushed and again the quality and quantity is nothing great. I suppose the only bonus will be that I'll go home, for the 1st time ever having lost weight after staying at an all inclusive hotel. The rooms are very tired looking and could do with a makeover. Staff in general, are very nice and friendly and do try their best. 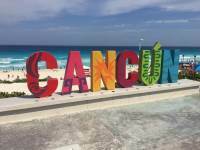 I really enjoyed Cancun as a holiday destination and will definitely be back, but it will not be returning to the Crown Paradise. If food plays any part in your holiday. I’d think again about staying here. Hotel was clean and all rooms have a sea view, lots of steps everywhere up and down. The food was poor and coffee out of urns cold, never been to a hotel where cappuccino was not available in the all inclusive or even to buy. The evening bar was boring and it was difficult to get served. 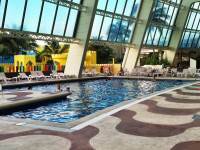 I stayed at the quiet pool as the main pools were too loud and overrun with children. The hotels main guest are Latino who I find noisy. 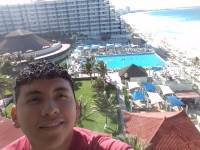 This was my first time to Mexico and I think it will be my last. Probably just the wrong hotel after one week I wanted to go home. 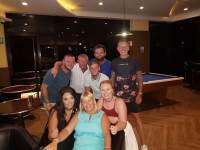 Cannot fault the staff at the hotel they were amazing from the start, but i have to say the ones that stood out the most were mariann from the trafalgar bar eduardo from the adult pool indra but most of all angel, would defo recommend the place and also these people if they wanted anything. Traveled for a 3-night stay to this hotel this week and was truly disappointed. I'll go so far as to say that I've never eaten food as bad as this...anywhere....ever, and I'll include gas-station highway food in my ranking.The property itself looks "fine"upon arrival...a bit tired and in need of a facelift. Despite promoting multiple restaurants, the absolutely awful buffet is the only option unless you arrive with reservations in-hand to the three (equally awful) "specialty" restaurants: a Mexican (a petrie dish of dried-out choices at 2 pm--it opened at 12:30; steak (seriously? it was horrid) and seafood (could not get into to try.) 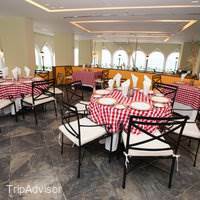 As other reviewers have mentioned, the food is inedible: we arrived Tuesday late afternoon and was told that it was Italian night at the buffet and this would be our only choice, as everything was full. After checking in and dropping off our luggage (about 7 pm) we were seated at a table for 3 (with only 2 chairs...waited and waited for another chair to be brought to the table) and found picked-over remnants of chicken fingers, breaded fish pieces, french fries, about 5' section of tortilla chips/totopos, a chafing dish of overcooked spaghetti in some sort of milk (no cheese on it or around) and meatballs the size of racketball balls...unhealthy choices for sure but passable if you are in the company of five-year-olds; certainly not Italian and not adult food. I'd like to add that there is observably poor hygiene practices by staff who pick up omelet ingredients with their hands, and chafing dishes sit before being refilled on top of partially empty containers. Despite needing reservations for the three specialty restaurants, the places themselves are about 1/3-1/2 filled. The rooms are tired and worn; the inside bottom of the sliding shower door is a slime experiment of black mold. Cocktails are horrid: two attempts at a margarita were undrinkable; the ONE wine choice at the steak restaurant (Wayne's Boots) was a half-empty Spanish tempranillo that was taken from a wine fridge, already uncorked, and had absolutely no taste from the refrigeration, which was the theme of all food and beverages: no flavor at all, all carbs, all of low quality and price point. In Wayne's Boots (we got a 9:15 pm cancellation) I had the crabcake appetizer which turned out to be a patty of cream cheese, breaded and deep-fried, served still frozen in the center. No crab ever touched that crabcake. My rare steak came well-done, grey, room-temp and ungarnished; served with cold fake-mashed potato flakes; the disappearing server returned at the end of the meal (again, restaurant was about 1/3 full) and said he'd yell at the chef. 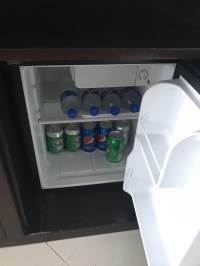 Our in-room beverages in a full-size fridge that blocked the single piece of artwork were not refilled during our 3-night stay, and staff throughout the property seem lackluster, disinterested and bored. 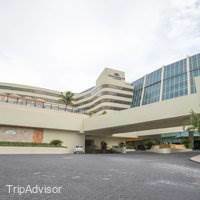 Some serious work needs to be done to this property, including training and food safety and prep, as the hotel seems to be promoted to a lot of international customers traveling with scads of overtired and cranky kids. For sure, we will never be back. There are just too many properties that want your business...this is not one of them. The resort itself is by no means terrible and the staff here work very hard to make you holiday more enjoyable. 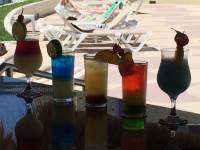 The drinks are good and the hotel is is kept clean and tidy as are the rooms if a little tired. The biggest issues this hotel has is the the food is awful even for an AI. I am not sure if it’s because I the main restaurant is closed but it’s that bad I must of spent another 500 USD in food outside the hotel in my 2 week stay as it’s that bad. I am actually still at the resort for another 3 days and wont be sorry to leave. It’s a shame as I have stayed at this hotel before but the food quality has certainly gone downhill. If the food situation was sorted then this could be a very good hotel again. 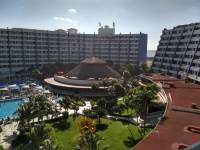 We had an awesome vacation in Mexico and Crown Paradise Club resort, big thanks to Brandon Cantillo he is awesome entatainer and friend. Me and my family will definitely come back here, this place is beautiful, food is delicious and all staff that are working here are so friendly. Good job to everyone. The room was okay the resort was okay and the food was awful! Even the specialty restaurants were way below par. If they were not in the resort they would be out of business. We ate three dinners in town because the food was so bad. Drinks were weak and over all not very good. Like food? DO NOT come here ! I don't know where to start. 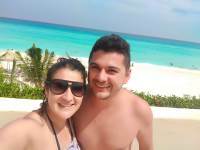 Me and my boyfriend have come to cancun for my 25th birthday for a Ten day break! 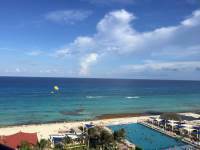 We were extremely excited as Cancun and it's resorts are always rated highly. On arrival the service was good and friendly, apart from the fact that after a ten hour flight from London Gatwick we were then sat down in an assembly hall with around 10 other extremely tired groups/couples given a speech and then had our full names read out to the group to give us our wrist bands we are here for a holiday not for an open day at college... We have a crown club room I can not fault the room it is exactly how we expected very clean tidy and the view is spectacular. 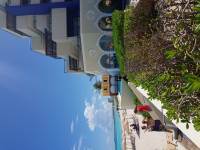 The pool and bar staff are great, friendly bubbly,always have a smile, efficient and helpful. Joel is a credit to the resort coming over offering drinks, tidying up around you, he is a fantastic member of staff and made our pool experience better each day. The food is the reason for the low rating. If you like food that's cooked and hot do not come to this resort. The buffet is awful, the food is tasteless uncooked over cooked raw cold just horrible. There are 4 restaurants at this resort we have been to 3 as the 4th one wouldn't let us in due to a trouser and shirt dress code? 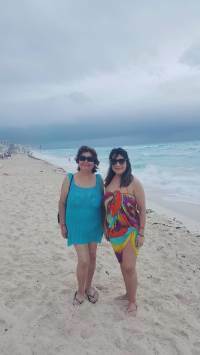 Which we were never made aware of... since being in cancun the hottest and safest meal we have eaten has been at McDonald's La Isla. Each day has been stressful due to dreading what we will eat next. Each meal made me fear that I'd get an upset stomach and after 8 days unfortunately I was proven right. The shop isn't the resort is extortionate £11 for a packet of crisps and a chocolate bar, I know it's a resort shop but that is ridiculous we had no choice but to buy these as the food here is completely inedible. 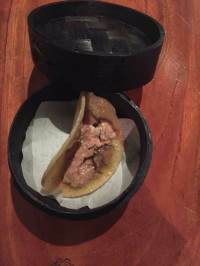 My boyfriend was served raw cold pork which could potentially have been dangerous. We decided room service was the only option we had and that again was dyer, low budget and COLD. Thank god for the excursions we done Xplor Xcaret Xchicen itza & aqua world. Without these this would have single handedly been the worst holiday ever ! Please don't make the same mistake we did by coming here. 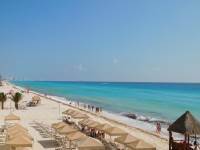 Spend your money on a resort where the food will be safe and enjoyable as this is the one the most important parts of any good holiday. Thankyou for nothing crown paradise. Just came home from a brilliant two weeks in Crown Paradise. Had no problems with hotel at all. Have to mention Darwin Teresa & Roger who were excellent in the lobby bar never had to wait for a drink excellent service. Having a club room gives you access to bar on floor 8 for either drinks of an evening or breakfast at morning (nice & peaceful) Melchor, the barman of an evening was brilliant, so friendly & attentive, didn't even have to ask for a drink it was there as soon as it was low. Great service. 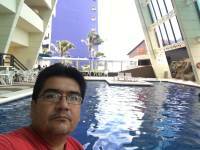 Thanks Melchor.Pool service by Angel also excellent for his Mami & Papi. Food was good in all restaurants. Only complaint was food wasn't very hot in buffet restaurant. Rooms cleaned on daily basis as expected. All in all a very pleasant hotel. Would definitely return. 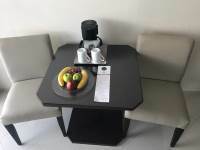 Me and my partner are currently still at the hotel but can no longer wait to get this review typed up.After reading recent reviews I am very shocked at the ratings as we have spoken to other couples here and not one person has told us the food is edible. We are staying in one of the Club rooms for a total of 10 days for my partners 25th birthday with 4 more days to go. View is stunning and room was tidy upon arrival. Since then I have had to call the operator for our towels, coffee, robes etc daily! Cleaners are useless.The air in our room is warmer than the food served here, everything is stale or cold, you would get a better dinner at McDonald's, it's that deep. We have tried every restaurant except the French restaurant as we were turned away for not wearing the correct clothing, and then was insulted because we was confused as there is no indication on our 'privilege list', just an invite. I had to speak to management twice since I've been here as I have also been served raw pork at the Steak House. Disgusting! We got offered free room service as a kind gesture which came colder than the food in the restaurants! I've given up!Going back, upon arrival we had to attend a meeting (more like children's assembly), Which then our full names were called out in front of complete strangers. We was told bus's are a great way of transport but got kicked off a bus in the middle of the slums after an hours journey when the driver realised he forgot to stop and was still heading in the wrong direction. On my partners birthday heading to a nearby restaurant. Great advice from Thomas Cook, Not!The best thing about this hotel is the pool staff and that is it. The excursions will make you're holiday, this is literally a bed. Would never recommend or return, even if it was free! 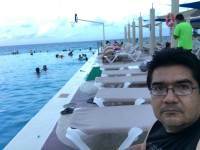 Our vacation at Crown Paradise Club on 2 Sept -9 Sept was our second time at this resort this year. In May we met Miss Rebeca at the concierge desk she help us with dinner reservations .We would see her daily and she would ask us how our vacation was going and if we needed anything.We told her that we would be back in Sept.She put our room request for Sept. trip in her computer and said she would contact us a week before our trip to setup our dinner reservations for the first three nights.She was off on the day we arrived but the next morning and every morning the rest of the week she greeted us like family. The buffet waiters would see us come in and have our drinks waiting for us. The hotel staff made this trip wonderful. 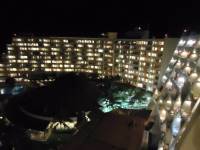 My husband, my 2 year old son and me just came back from our vacation in this resort. We were there September 9-September 15. We really liked the service there. Room service was on time as we needed, before our son's nap time.. we had sea view which was the plus !! Shows in the evening, day care, kids menu in the buffet- was excellent! But what upset me a little was food( I was expecting to have nice juicy quesadillas with a lot of guacamole and sour cream, like I had many years ago in Cozumel, but didn't receive it.. the food in buffet was just ok.. the only thing what I could eat was freshly made omelettes because they are hot.. the rest food was just warm, sometimes dry.. coffee was not my taste, but I expected that.. juices were awesome. The wait stuff was hardworking and very nice. Especially would like to mention our waiter in family section Angel Medina! We liked him a lot!! My son used to call him and asked for avocado)))We also went for dinner in Italian, Mexican and Steak House. The worse was steak house. Appetizers were just surf and turf was ok.. but steak which my husband ordered was sent two times back.. won't recommend to go there at all.. Beach , pool, weather , nice and relaxing family time - that's what I will remember from my vacation!! A fantastic family holiday. Would absolutely return! This place was incredible! We read some very worrying reviews on here but certainly enjoyed 2 weeks in paradise. 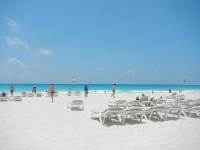 The hotel is situated in a nice area and leads on to a lovely beach. 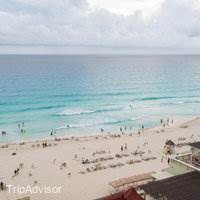 The town is a bit far out and not within walking distance, but that was to be expected and a bus will stop for you right outside the hotel where you can travel to various places in Cancun. It's quick, convenient and very cheap. The weather was glorious despite a few days of rain and the hotel itself is wonderful. We found it modern, vibrant and very welcoming. 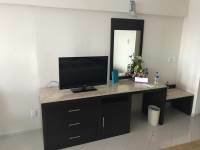 The rooms are a little basic, but kept immaculately clean. They are spacious, the beds are the most comfortable bed we have ever e countered on a holiday and the wifi connection is generally great. (You can pick it up everywhere in the hotel, even on the beach). The main/family pool was fun to be around in the day. We had a 10 year old with us and they were never bored. 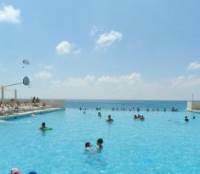 There is something for everyone around this pool with plenty of activities, although the music does get a little repetitive. The adult pool was also good. The foam party was brilliant and the atmosphere around it is very chilled in comparison to the main. We didn't struggle to find any sun beds, but still got up early to reserve them. The kids pool/area was also great for the young children.The food was probably the best all inclusive we have ever experienced. There are 5 different restaurants and all are lovely, although there are 2 different menus at the Italian and one is better than the other in my opinion. 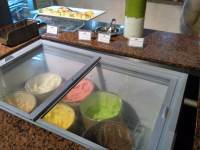 The main buffet also has plenty of choice and was at its best during breakfast. The snack bar is open during the day and there is a snack bar of a night. The burgers are simple, but they're to die for! The staff also can not do enough for you. The waiters/waitresses and maid service in particular couldn't do enough. Rafiel at breakfast was very welcoming every morning at breakfast and would make sure we were never without a coffee. If you have any problems, the staff are so helpful. We found ourselves giving lots of tips.I would say this hotel is definitely worthy of 4.5/5 stars. Simply fantastic. Just back yesterday and I Had the best holiday, there's always something to do and your never left hungry! Always a food place open. The fisherman's and French restaurant is bestWe were there during Independence Day and they had dancers and food outside it was a brilliant nightThe rooms were brilliant and very well air conditioned The staff are brilliant and would do anything to help make your stay better especially Angel at the pool, Carlos in the bar, Pavon and Joel were the nicest people and made our stay enjoyable.So easy to get to the shopping centre with the bus stopping outside the hotel and easy to walk to the Cancun sign Also the aqua world stand in the hotel is good for excursions would defo recommend the jungle tour!We will definitely be back, wish we were still there now! 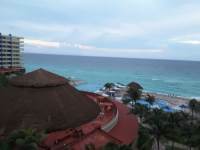 This was my third trip to Cancun and the best. The hotel staff was 5 star service. I stayed on the Crown Club floors which I highly suggest. You get to check in and out with the concierge and not wait in lines for the front desk. We also had our own lounge for these rooms with breakfast and then a bar/snacks later in the day. There is also a concierge in the morning to make dinner reservations with and no lines. 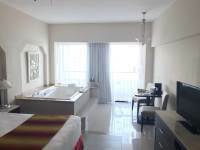 These rooms did not cost much more than the standard. 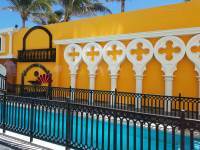 The hotel grounds are kept clean and are well landscaped. Everything is easy to get to and I had no problem with anything being crowded. 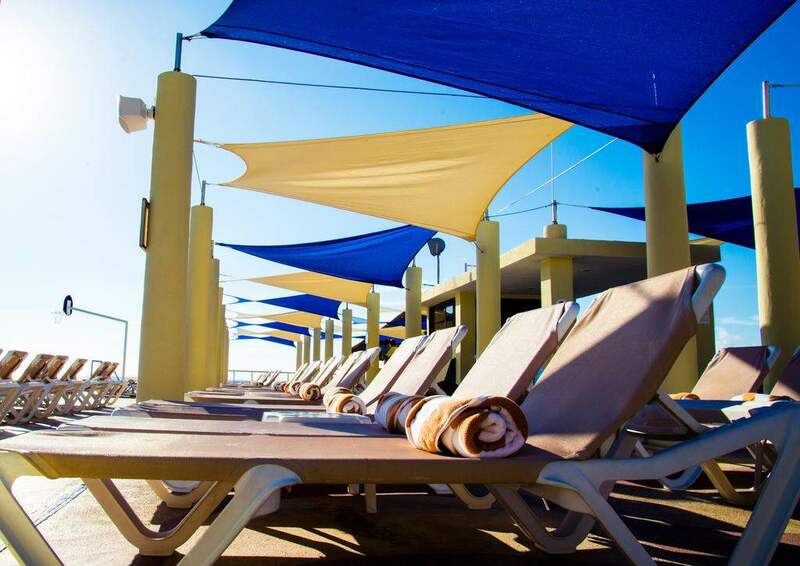 There are plenty of pools, bars and food available without waiting. The beach was well taken care of with plenty of chairs and shade. I had no problem at the beach or the pools finding a place to lay out. The shows at night were good as well as fun activities at the pool. For the late nighters the disco bar from 11 till 2 am was fun with a DJ. This is a hotel for families with many activities for the kids, I was there by myself and didn't have any issue with the number of kids. If you are looking for a hotel to get drunk and raise hell this is not it, however there were some of us that did drink a lot but we still behaved.All of the staff did an excellent job but I would like to recognize a few. In the disco bar at night it did get crowded but Pedro and Mariana were always able to handle the crowds. At the lounge for the Crown Club floors Peter always did an excellent job in the morning taking care of breakfast. 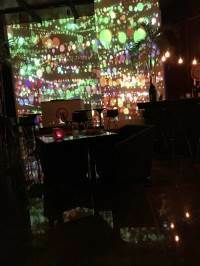 The lobby bar with Alberth was fun in the afternoon. Where I spent most of my day was at the pool bar. Luis and Gabriel kept us entertained and I drank too much Tequilla watching them in the afternoon. I think the most amazing staff are the concierge ladies. They seem to run the hotel and they were always busy with someone. My favorite was Shadia. I started my day off in the Crown Club lounge for breakfast and she was the concierge each morning so usually the first person I would see. She was always smiling and friendly and very knowledgeable. I thought the hotel did well on placing these ladies near the front of the entrance, some places I have stayed at you have to hunt for the concierge.This hotel has enough things to do, good facilities and outstanding service , I look forward to my next stay there. 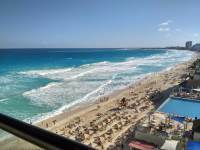 We stayed at the Crown Paradise Club on the 4th September 2017 for 14 nights.On arrival check in was straight forward and a bell boy took our luggage to the room. We were given room 2707. The room numbers are based on block number (2 - crown tower) floor (7) room number (7).We had paid extra to stay in a Crown Club room on an Adult only floor with a jacuzzi in the room and access to the Crown lounge. On arrival the room looked lovely, spotlessly clean, fresh fruit, flowers, champagne on ice, bathrobes and slippers with a spectacular view of the sea. After a long flight we unpacked and went down for dinner. 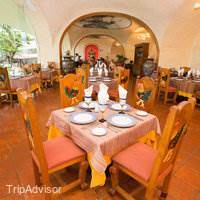 The buffet restaurant (La Palapa) appeared to show a good mix of food from Mexican to seafood. Dessert was also very good with lots of choice on offer.After a very long day we went to bed, just as we drifted off to sleep we were woken up with banging and clanking, this did not stop until 3am and then started again at 5am. We contacted reception to let them know about the noise and they said they would have a word with the club lounge as it was directly above our room. At 6am we were extremely tired and angry with the noise so I went to reception and asked to speak to the Duty Manager armed with a video recording of the noise. He explained there is sometimes issues with the rooms under the lounge but normally when you call up reception and ask them to quiet down they do. I explained this is not acceptable, we had come away to relax and not to be kept awake all night. The Manager agreed to change our room but as the hotel was at capacity this could not be done until after lunch the following day. Therefore a word of warning; if you are given rooms 2706, 2707, 2708 or 2709 decline them straight away at check in as they are all underneath the Crown lounge. Do not accept these rooms, well unless you are happy with only have a couple of hours peace and quiet every night. 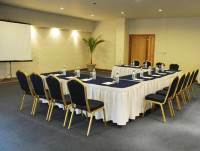 We were moved to room 2804 which was two rooms away from the Crown lounge. Again the room was clean although not as clean as the previous. 2804 has a very temperamental lock and getting into the room at times was challenging as you have to keep lifting the handle up first and swiping the card until it allows you to open the door. The other downfall to this room was the banging and clanking from around 6.45 every morning setting up the Crown lounge for breakfast. 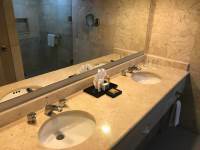 The bathroom is large with double sinks, walk in shower, which is big enough for 2, and a separate toilet cubicle. 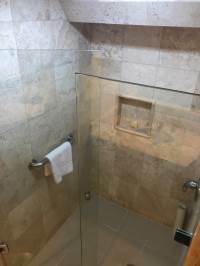 We did have an issue with the shower head but this was quickly replaced by the maintenance team.The room has a large wardrobe, large safe, super king bed, dressing table, good sized flat screen TV but it has very few English speaking channels. 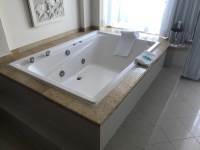 Jacuzzi, table with 2x chairs, coffee machine and mini bar stocked with 4x water, 2x Heineken, 2x Pepsi, 1x 7Up and 1x Pepsi light. Crown lounge - Breakfast -Excellent service from the staff in the morning, good choice of cereals with continental and cooked breakfast options. 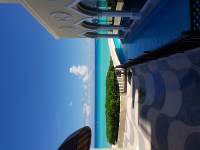 All with a stunning view of the Caribbean sea. The concierge was located in the Crown lounge and the ladies were brilliant at booking our evening restaurants. With the Purple wristband (Crown Club) you can make reservations 4-5 days in advance. You can also book the free lagoon cruise which we chose not to do as it sounded more like a booze cruise with party games and included lunch. You are also entitled to 1x complimentary gourmet meal at the French restaurant with a bottle of sparkling wine. You have to pre-order the meal but it was excellent. Crown lounge - evening drinks Excellent staff and a good range of both local and premium branded drinks. Fishermans restaurantExcellent food, very well presented but small portions. Don't expect to leave full. Wayne's Boots - Steak HouseGood food, reasonable sized portions but you will feel rushed as they aim to get you out within the hour. There is also a bucking bronco if anyone wants to try it out.Sans Soucis - French There is a dress code for this restaurant and they will refuse your reservation if you do not follow it.Men - long trousers and a collared polo or shirt.Ladies - skirt, dress or trousersFood excellent, service excellent, very cool air conditioned restaurant with views of the sea. Italian Not Italian as we know it but I guess we are in Mexico. 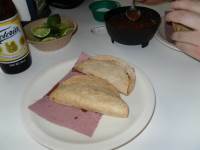 Very basic and not to our taste we only went once.Los Gallos - Mexican Very nicely laid out with a Mexican band. Food not to our taste so we only went once. 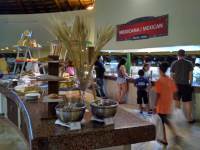 La Palapa - Main Buffet (Breakfast, Lunch, Dinner)Very hit and miss, there was a better choice on offer in our first week. Hector is the best waiter by far and he is based in the adult only section.Eggs and omelettes can be undercooked so be careful. 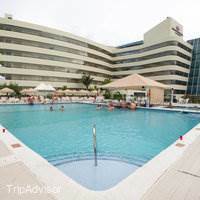 I am glad we were able to book a la carte restaurants for our evening meals every night of our stay as I do not think the review would be quite so complementary based on evening meals in the buffet.Pool bars - good range of drinks and we never had any problems getting a sun lounger in the morning. The adult pool is really good with upgraded furniture and a swim up bar but there is no breeze so it is very very hot up there. Late check out can only be requested the morning of your departure and subject to availability, costs an additional $50 US Dollars. 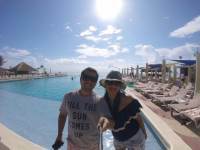 Overall the Crown Paradise Club is great value for money. 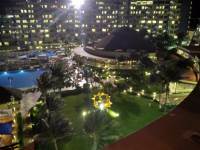 You cannot compare this resort to 5 star hotels like Excellence which are double the price. Would we stay here again? Yes we would for the price and we would upgrade to the Crown Club level (requesting a room either on a lower level or far away from the Lounge to avoid noise) just for the benefits including the Lounge and priority bookings for the A la Carte restaurants. 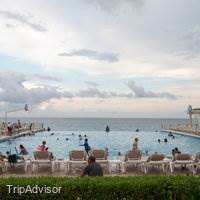 I am here right now room 2508 and if heaven exist well this is it.Been travelling for almost 60 years so I know a good thing when I see one,the room,food,pools staff especially Santiago at front desk. The bell boys Angel and Jesus are amazing! Literally so nice and sincere, they took care of my luggage during check in and checkout, extremely diligent. The bar tenders, AMAZING! I just ordered a beer and a shot of name brand liquor, I tried to make it easy, I mean come on, to blend drinks would take longer. Especially with the crowd. They always came to us first (because they already knew), because they didn't even have to ask. The food was as you'd expect at a big resort, but mostly good. Just depends on what you like. Honestly, the staff is amazing Luis and Alfonso, were so, extremely friendly. There was one rude one, but maybe I was just upset because I missed my baby. Great family oriented resort, nice clean rooms. 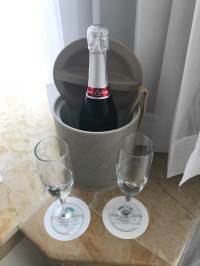 Exceptional room service. Never worried about a thing. 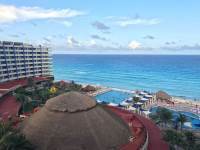 We have been to Riviera Maya a bunch of times, but 1st time in Cancun. 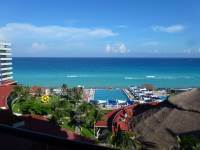 The hotels here tend to be huge tall buildings vs. much larger properties in Riviera Maya. 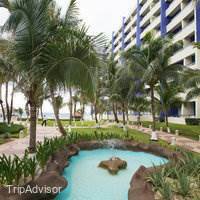 The upside is less walking distance everywhere, the downside is the noise.We booked through Costco (BD Travel in Mexico), and I have to say it was a fantastic value. 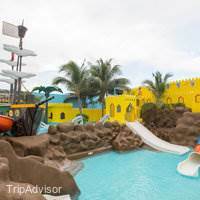 Plenty of activities for kids on the resort: great big water park, kids' pools, kid's playroom, mini golf all day- was great!We loved the La Palapa café, ate there every single day, loved the variety of options and the different themed foods and juices every day.Special mention to the BD Travel team, they were all great and did a great job.Would definitely return to this hotel again, my wife loved it and the kids had a blast. Special thanks to Dulce (she is very sweet and worked hard all day! ), Indra and Renata from Baby Paradise, they were all great!Thanks to Paco (volleyball, Animacion team), Pablo (nights) and Israel (mornings) from the La Palapa café, and also last but not least Agustin Mata bellboy who was very helpful and friendly to us both times- both at check in and check out. Good points is everyone is very friendly and willing to help rooms are clean and tidy drinks are always stocked up there are some merchant stores on Monday Thursday Saturday they will try to pull u in they is some good stuff on offer there's a spray paint man he is good. The beach is on the doorstep. The food was ok. The entertainment was great at night there was Michael Jackson, magic, circus, grease and lip sink all were great. Bad points was the big hill at the entrance shopping you need to take a bus not walkable. Mam got food poisoning watch for the chicken. Depending on your hotel room like ours the view was bad there's a old hotel building which needs knocking down. Great time at the beat place, thanks brandon! We stayed here for 2 weeks. It's not a 5 star resort and we knew that when we booked. We got what we expected. The rooms were clean and spacious. The air conditioner worked well. The views are great. The restaurant food was good. The buffet food was good but there was no variety. After the first week it was getting hard to find something different to eat. One down side was that more bartenders are needed. A tip is to walk to the beach bar for quick service. I have to say that we had the best waiter in the buffet. He worked the Palapa for breakfast. His name is Alexis Gil. Sit in his section and you will be satisfied. I told him my name on the first day and he remembered when we sat again. He knew our drink selections and was ready with them immediately after we sat. He was pleasant and friendly. He definitely made eating at the Palapa enjoyable. Thank you Alexis. The kids club was great. The kids had a great time. The beach was nice. The entertainment staff was friendly but not pushy. The fitness center was well equipped and clean. I would visit this resort again. I stayed here from Sep 1 to Sep 8 with my wife and two boys ages 3 and 14. Before arriving I was worried about not having any privacy in our room due to the only pics on the website I saw was a queen or king bed with a bunk bed next to it. Upon checking in I was upgraded free of charge to a two floor family room number 1010. The lower floor having a queen bed next to a bunk bed with a patio and the upper floor having a king bed. Each floor had there own tv and lots of space so that was a huge plus. Only issue we had was we had to change room 1010 because of ants in the corner by the window but once we changed room we had no issues in room 1003. OK now on to the vest parts of the hotel. The SERVICE was EXCELLENT!!! From the dining room staff to the bartenders to the cleaning staff everyone was attentive always smiling and just seemed happy to be there unlike other resorts. Entertainment for my 3 year old was excellent from the aqua park with the pirate ship to the night time shows the Disney show was awesome to the bouncy house and toys in baby paradise he loved it. Entertainment for my teenager was good since they had an Xbox 1 ps4 ping pong and pool tables but how about some arcade games that would make it even better. The six restaurants all had good food but we enjoyed Wayne's boots the most with the awesome steaks and sides. 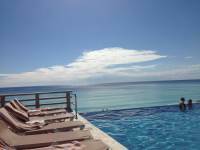 The infinity pool and baby pool were excellent as well and had activities for all. Overall my family loved the resort and we will be returning soon.